Suzuki GB kick-started 2019 with its annual dealer conference, which took place earlier this month and saw on and off road dealerships come together with Suzuki staff to review the previous year and outline the direction and plan for the year ahead. 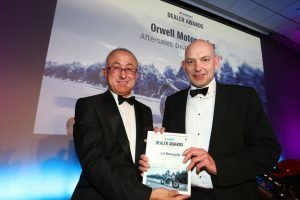 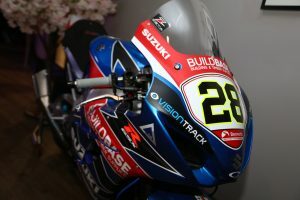 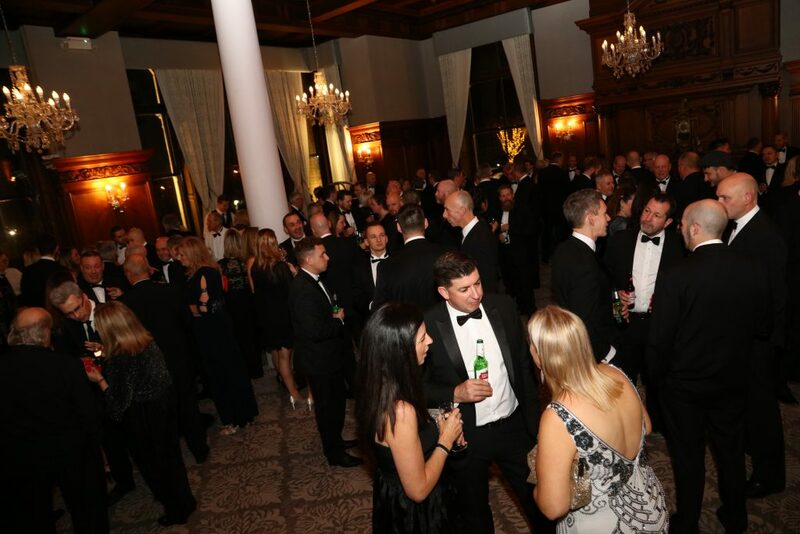 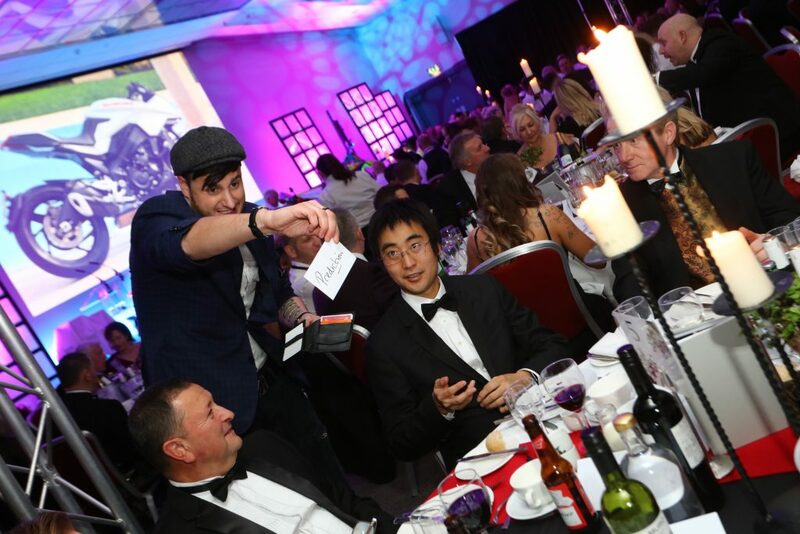 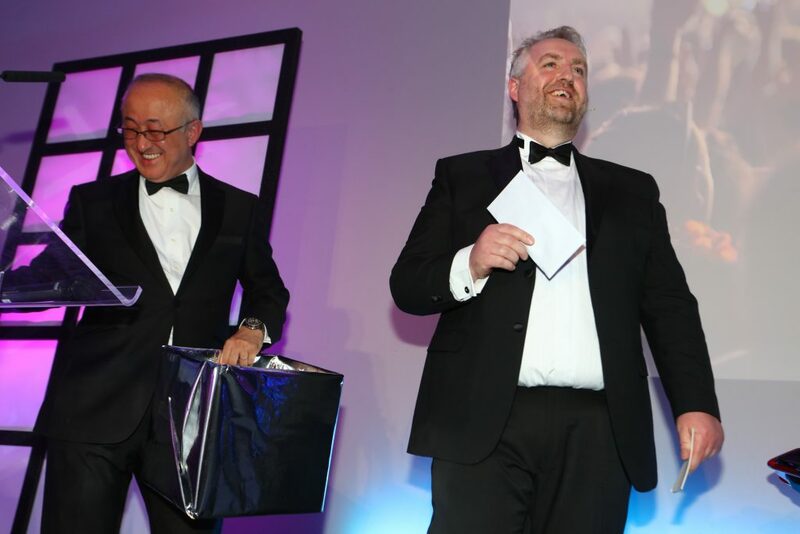 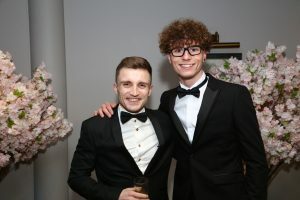 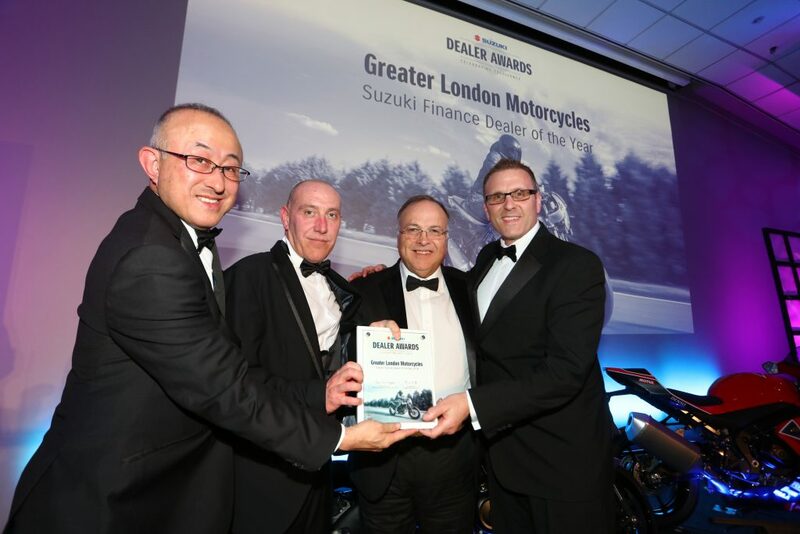 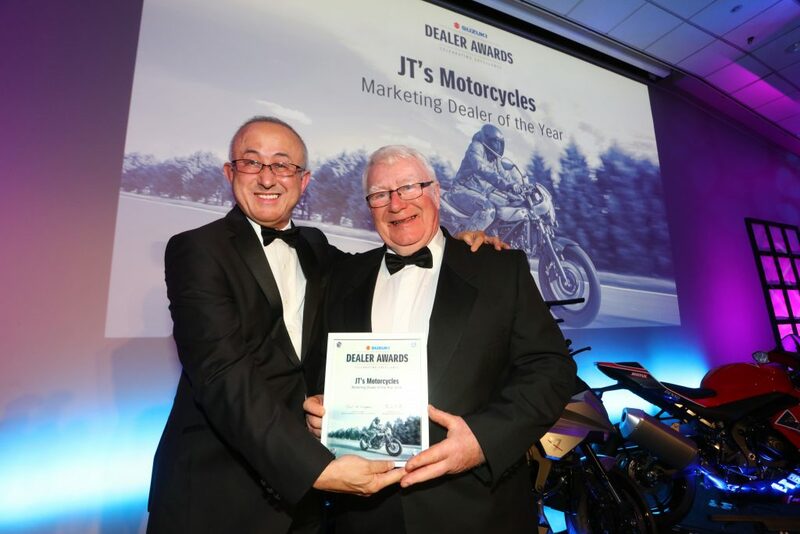 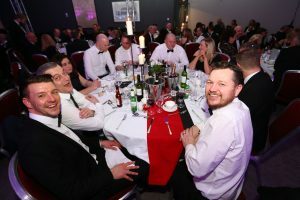 There was also the chance to network with other dealerships and Suzuki business partners, while achievements were recognised with an awards ceremony following a grand gala dinner. 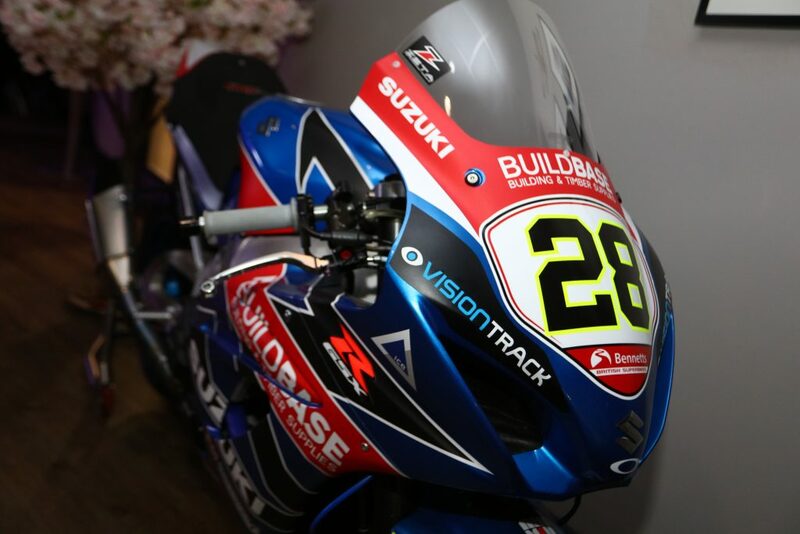 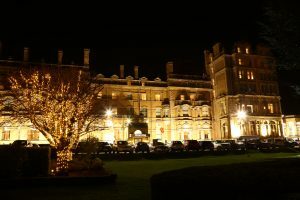 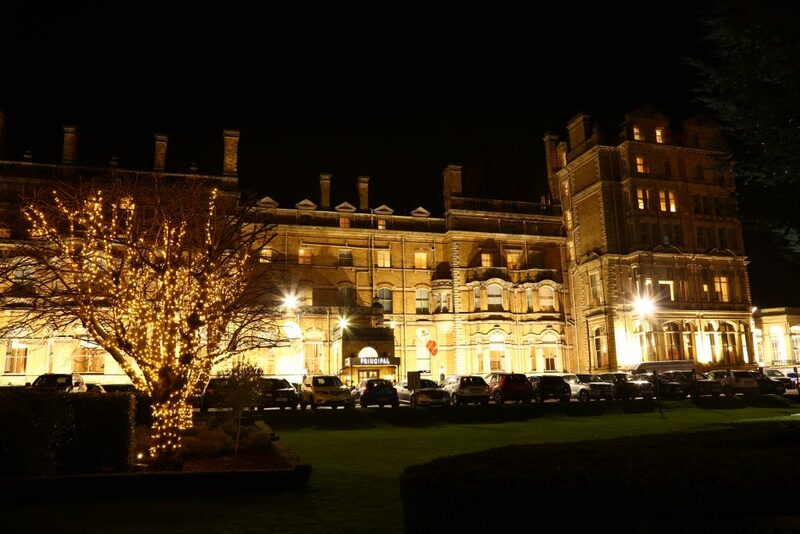 Hosted at the impressive Principal Hotel in York, the conference saw addresses from managing director Sam Suyama, plus all heads of departments – Paul de Lusignan, James Richardson, and Wayne Dye, plus head of motorcycles Jonathan Martin and newly-appointed head of marketing Fiona Cole. Dealerships were then given the chance to network before reconvening for a black tie gala dinner and awards ceremony. 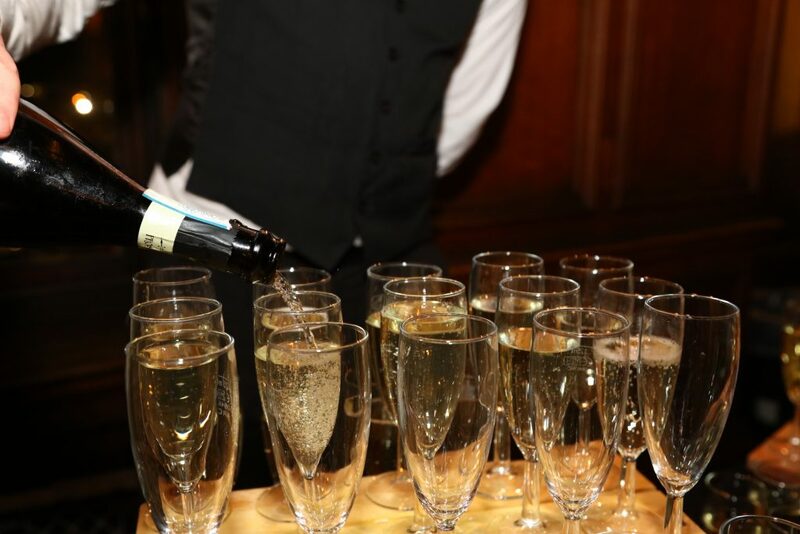 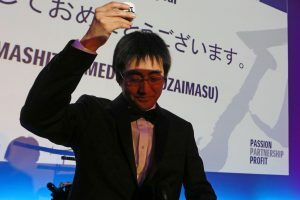 The dinner was opened with a toast from the assistant to the MD, Tsuyoshi Terazaki, and traditional shot of saké, with entertainment provided by an awe-inspiring magician who raised eyebrows and smiles as he wandered the tables. 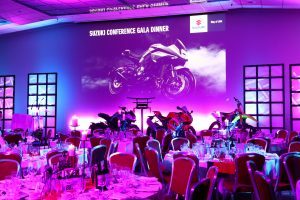 A raffle and impromptu and amusing auction also raised over £2,500 for Prostate Cancer UK – with Falcon Motorcycles from Burton On Trent successfully bidding £750 for Take That concert tickets – courtesy of the brand’s newly formed partnership with the group. 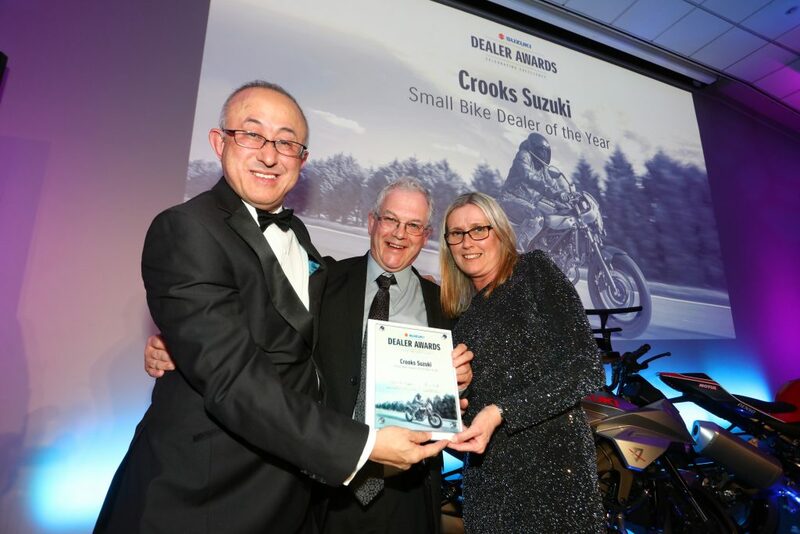 Concluding with the awards ceremony, 16 awards were handed out including a number of long-service awards which totalled 285 years of combined Suzuki experience. 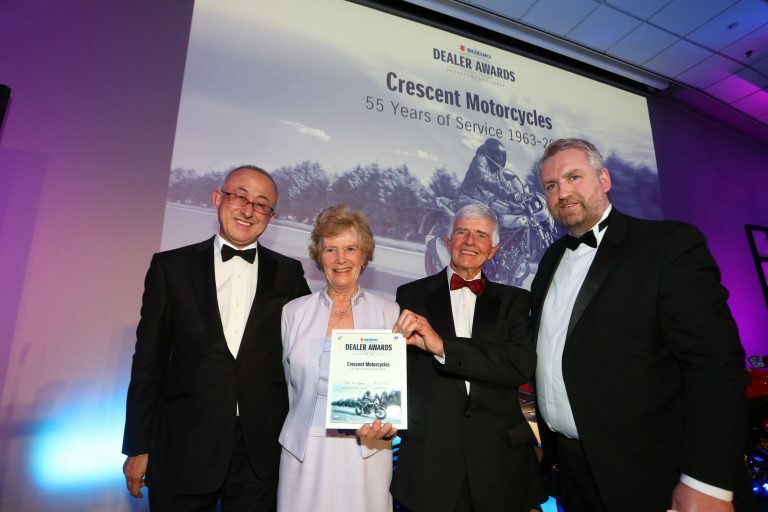 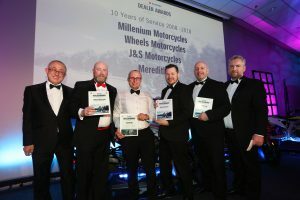 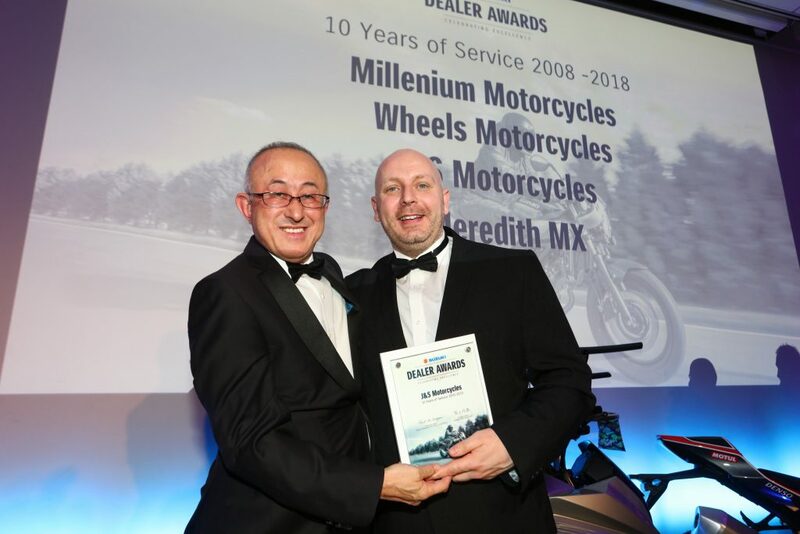 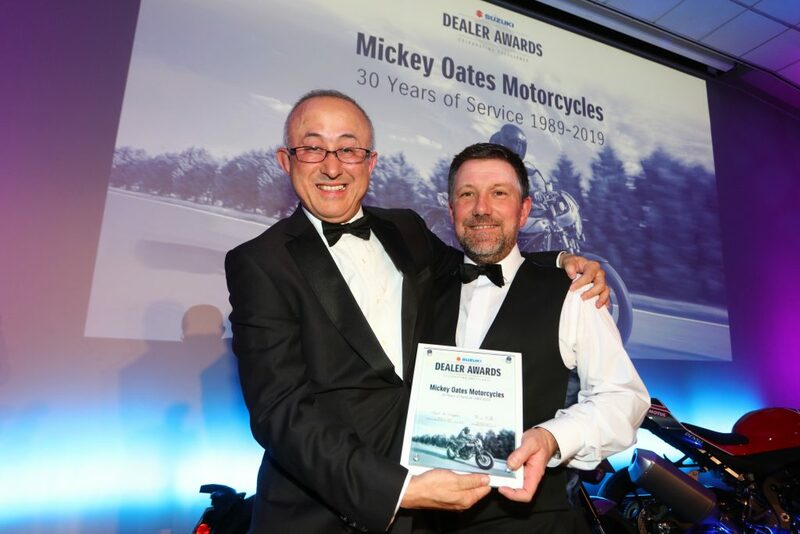 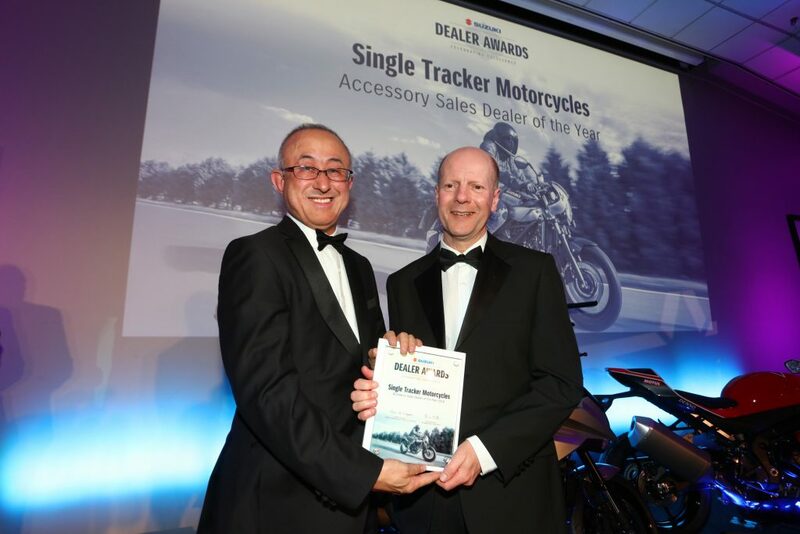 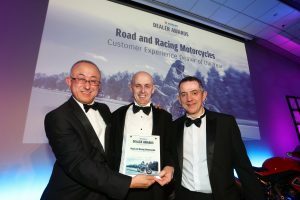 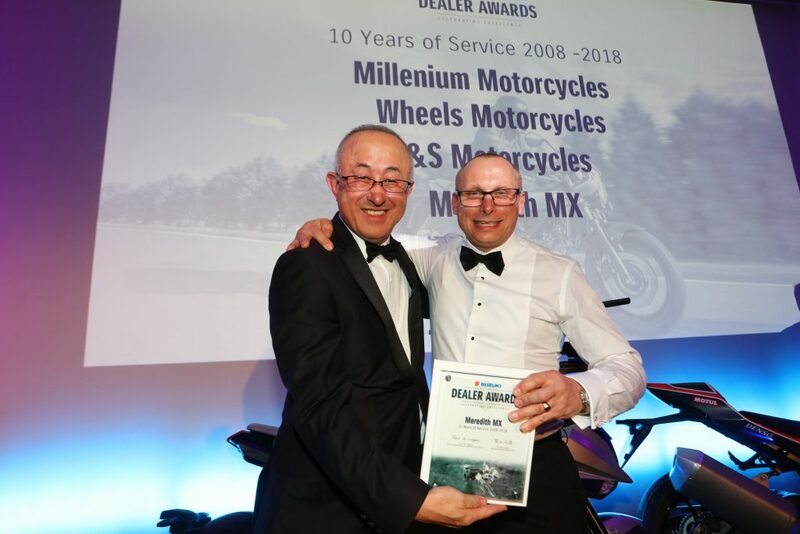 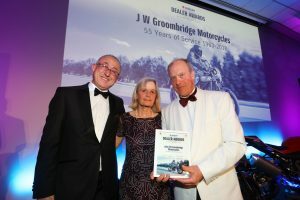 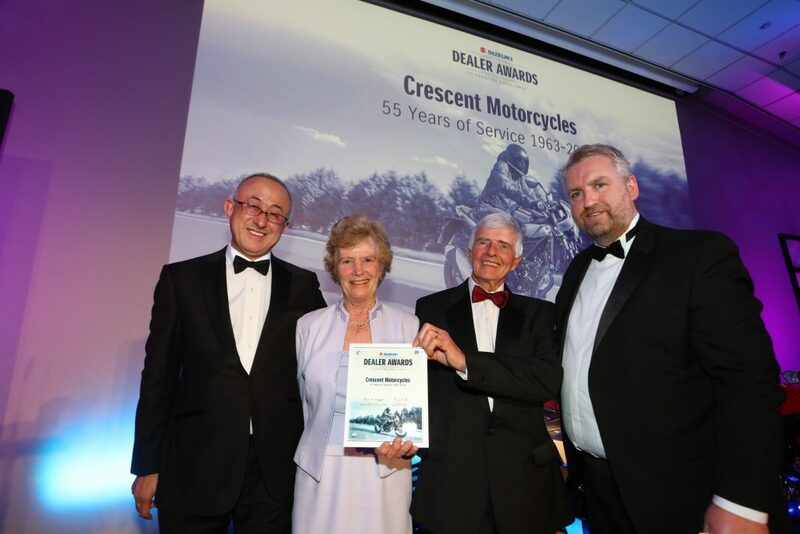 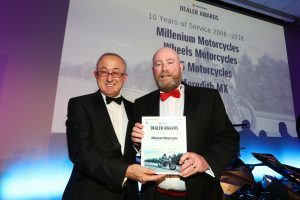 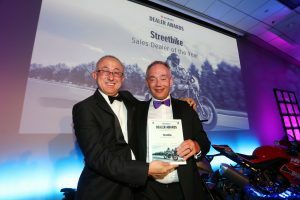 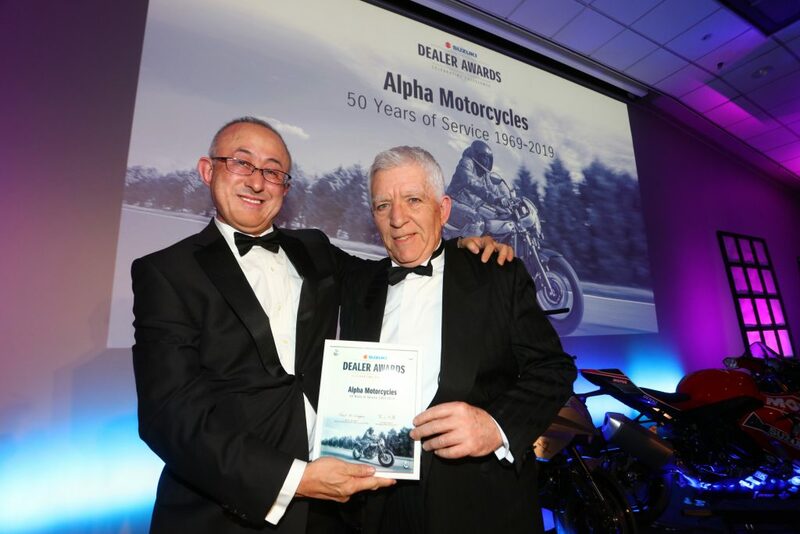 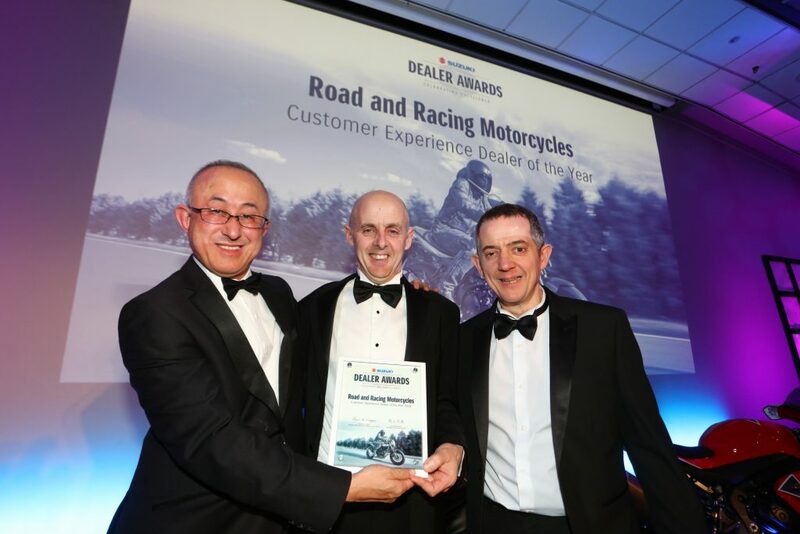 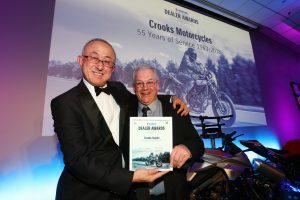 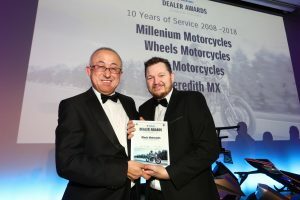 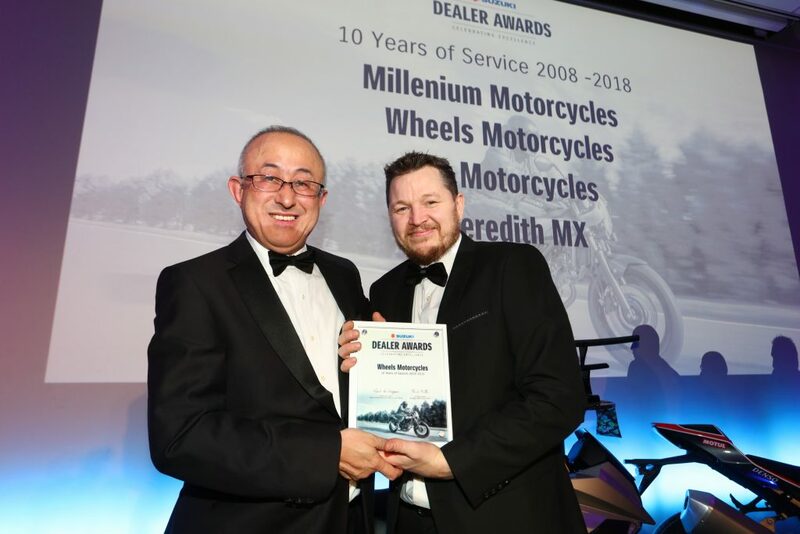 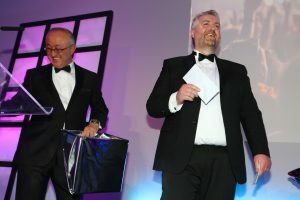 Three long established dealers – Crescent Motorcycles, Crooks Suzuki and JW Groombridge Motorcycles – picked up a very impressive 55-year’s service award.